A loan of $1,125 helped a member to buy sand and cement for her husband's brick making business. Lusia, 40 years old, married woman and has a son,15, in the 1st grade of Junior High school from her marriage with Wihelmus, a 40 year old a brick maker. To support her husband, Lusia earns a living from raising chicken and have been running for last 2 years. As a brick maker, Wihelmus sometimes faces difficulty, the income earned is up and down and it impacts the family financially. This situation led Lusia to do this business. In a month, Lusia should buy a box of chicks, the supplement for chicks. She is able to earn profits of IDR 1,000,000. This business gives benefits for her family, particularly in meeting daily needs and school matters. At the moment Wihelmus has difficulty in producing bricks since the lack of material. This situation makes Lusia to help her husband to buy sand, cement and others. Lusia then joined in the Sederhana group and have requested a loan of IDR 3,000,000 for each of members. The group is formed as they want to improve their business. Therefore, they really expect to get the loan from Kiva lenders. It serves people in Indonesia's poorest region. This loan is administered by Tanaoba Lais Manekat (TLM). TLM is a microfinance institution that seeks to improve the quality of life of poor communities in the province of Nusa Tenggara Timur in Indonesia. TLM has been operating since 1995 and, in addition to providing microloan and savings services, provides client training on financial management and entrepreneurship. TLM’s head office is based in Kupang, West Timor, Indonesia. Kupang is the capital city of Nusa Tenggara Timur province in eastern Indonesia. Nusa Tenggara Timur is the province with the least favorable social and economic statistics of all the 33 Indonesian provinces. 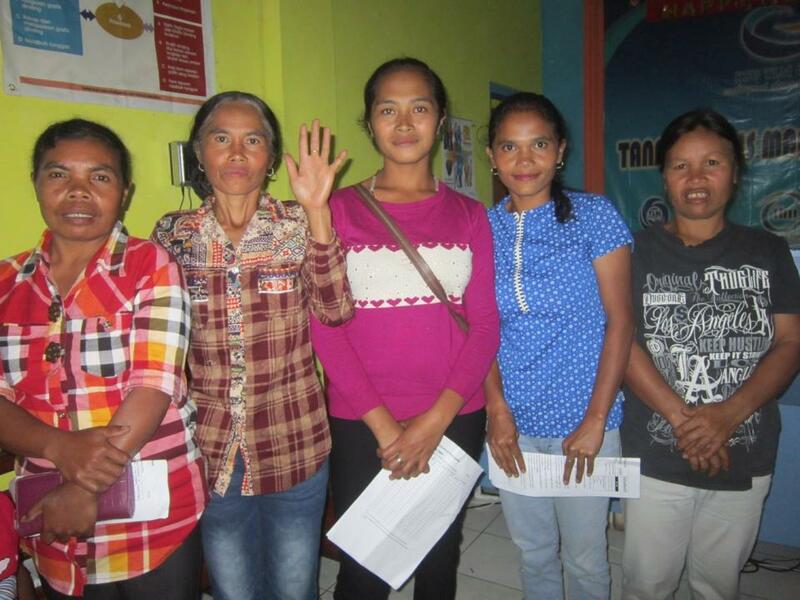 Join our lending team TLM West Timor. Kiva is proud to work with TLM to reach poor communities throughout Nusa Tenggara Timur, which has some of the lowest social and economic statistics of Indonesia's 33 provinces. TLM has a long, established track record of providing quality financial services, including savings and insurance products, combined with client training on financial management and entrepreneurship.